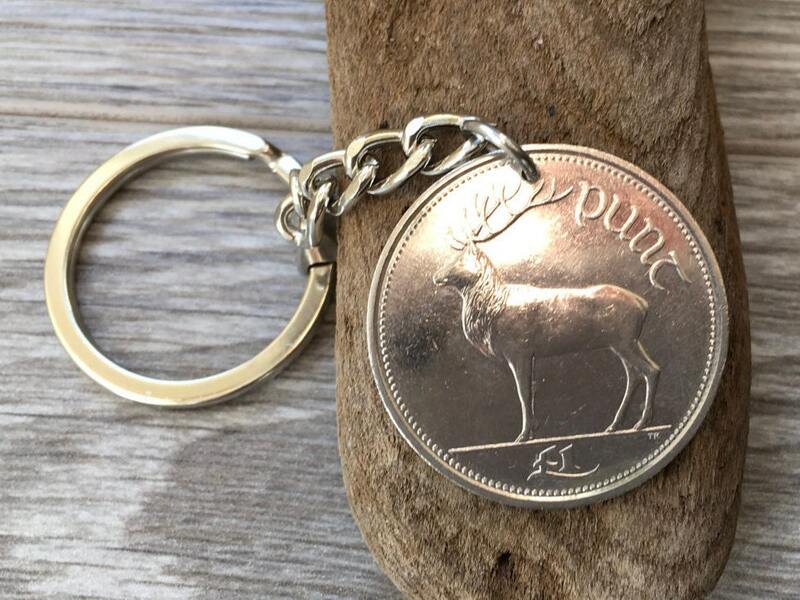 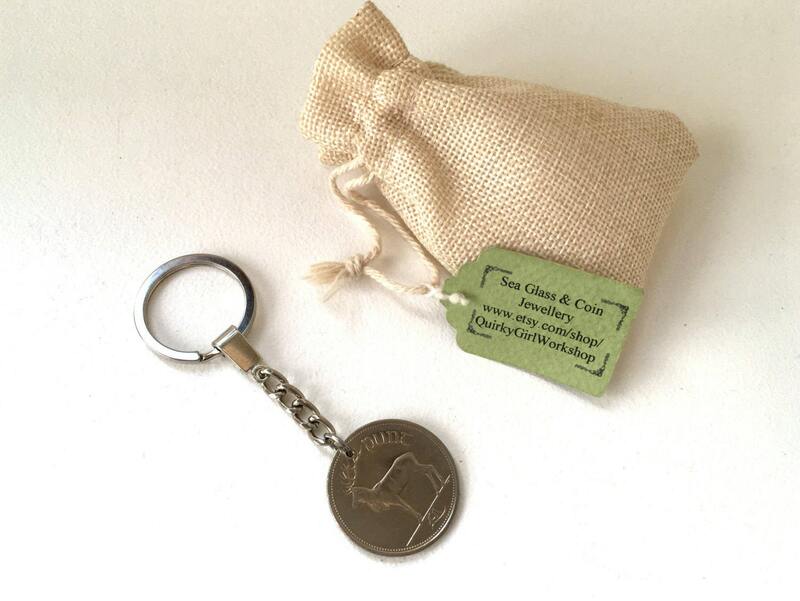 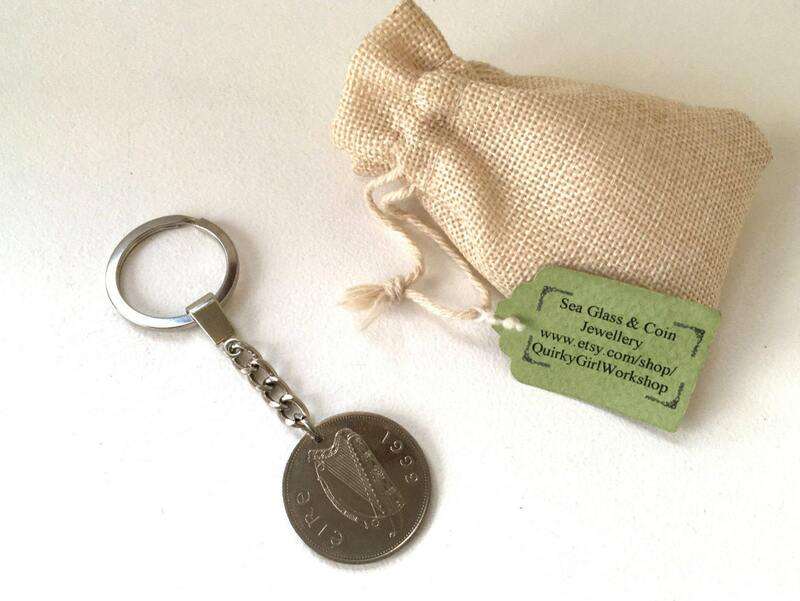 A rare Irish punt keyring, this large coin makes a perfect keychain. 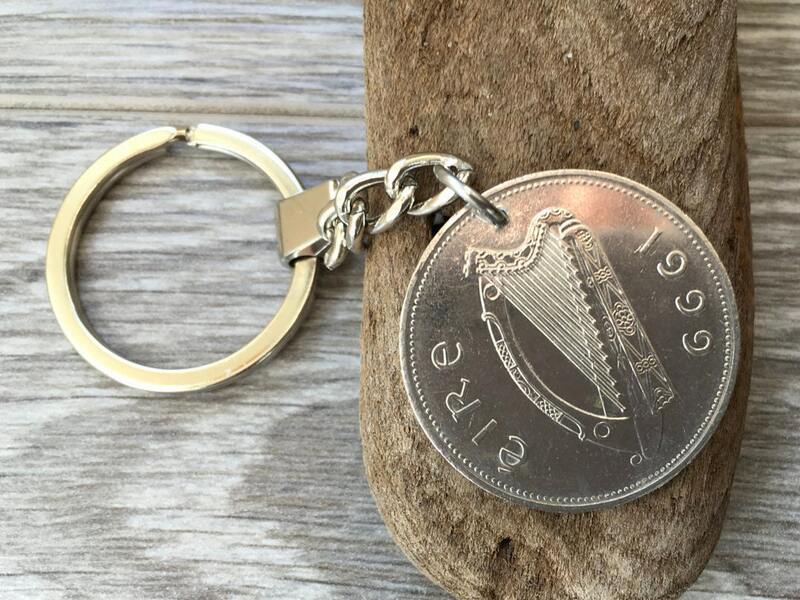 The Irish coin is dated 1999, it has a harp on one side and a stag on the other. 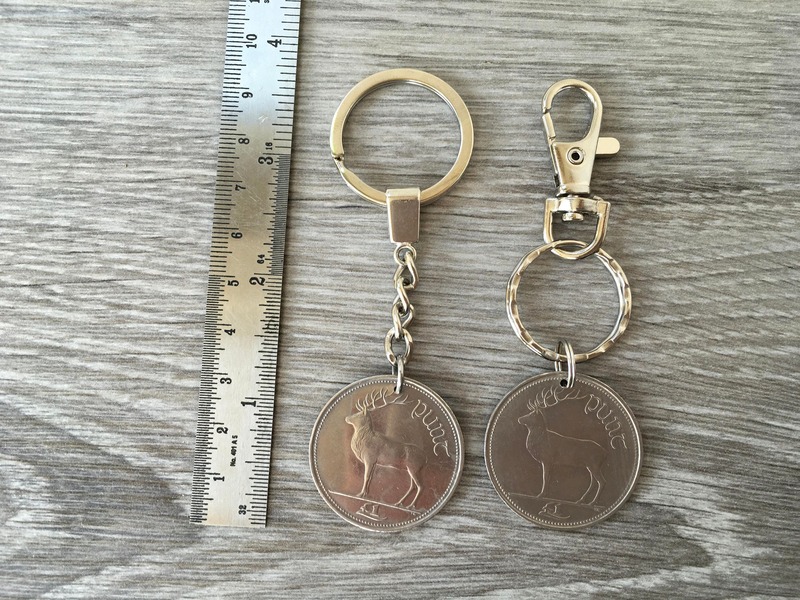 I have used a nice strong keychain or trigger clip to give years of use.